Review: Alien is a horror movie, that is a part of one of the most well known franchises based on the alien creature. I actually have never seen the whole movie, but since I picked up the Alien Anthology box set I just had to give it a watch. 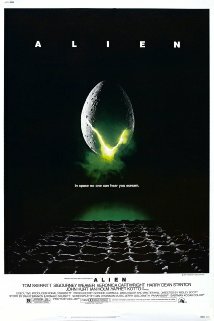 Alien was a great movie and I did enjoy the film, but unfortunately the movie really didn’t live up to the hype for me. Don’t get me wrong though like I said Alien is a fantastic movie, but everyone was making it seem like it was so much better than it actually was. The story for Alien was very well planned out and truly delivered. This movie focuses on a space crew that is traveling back to earth but encounters problems along the way. After searching an unexplored planet a creature manages to board the ship and starts to cause havoc for the crew. Alien provides us with good plot twists and some nice thrills. How was the acting? The acting in Alien was off the charts. Sigourney Weaver and Tom Skerritt both had excellent performances. The supporting cast all did great with their roles as well, this was just an all around great acting performance from the Alien cast. Alien provides the viewer with some good scares and great kills. Now the movie wasn’t that terrifying there were a few good scare scenes, but nothing crazy. Most of the time I was just sitting there waiting for something to happen, I just wish that this movie could have given us some more frightening scenes. Although, the movie really did deliver when it came to the kill scenes, they gave the viewer a shot at gore and some good thrills. Sure, there could have been more blood, but what they gave us was fine. Check this crazy scene out. Overall I loved the movie Alien and thought that it was a entertaining movie. The story was entertaining and did do a good job with keeping me into the movie. The acting was very well done, Sigourney Weaver and Tom Skerritt were both enjoyable to watch. The only thing I can really say about the movie is that I wish it had more scare scenes and gore. The kills were great, but the alien didn’t really look all that scary compared to the AVP alien. You can kind of say the CGI helped make that alien scarier, but I can honestly say this movie was great. I do prefer the movie Predator though, nothing tops that! If you haven’t seen Alien yet, I absolutely recommend you watch it! I actually hated the first Alien, found it boring as all hell. The chest burster scene was the only part I liked. Aliens, though, that one rocks, and is in the upper half of my Top 50 Horror Films post. I’m currently watching Aliens, love it so far. I think a majority of folks walk into Alien thinking its Aliens. There is not a lot of action, but tons of horror. The mood is grim and the acting above reproach. For folks who enjoy the bullets and blood, i recommend skipping Alien and move straight to Aliens. 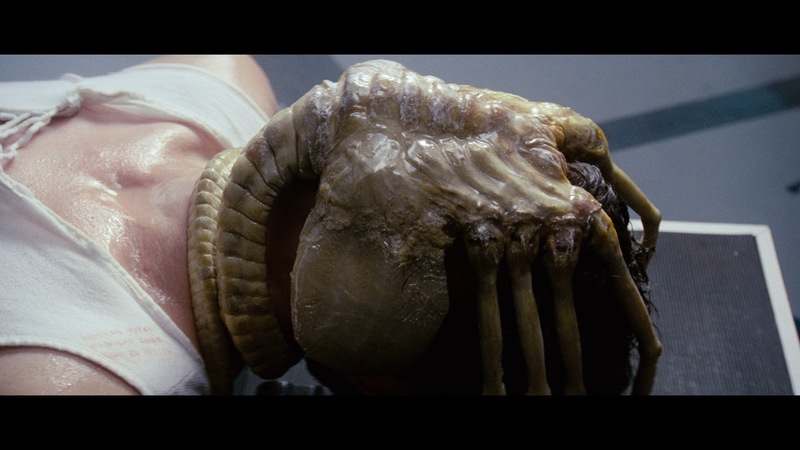 But if you enjoy the slow build of traditional horror, Alien should be your pick. I agree, I did enjoy Alien, but I feel like Aliens was a much better film. The build up was just way to slow. See, I really prefer slow-burn horror that Alien did, and I really liked the time it took to understand the creature. Each to their own, and I know most people prefer the action-horror of Aliens, but Alien will always be my favourite. I haven’t watched any of the movies beyond 1 and 2 though… I should fix that. Great post, I recently reviewed the Alien series on my blog if you’re interested.